Don’t Let Your Heater Run Cold, Schedule Maintenance Now! 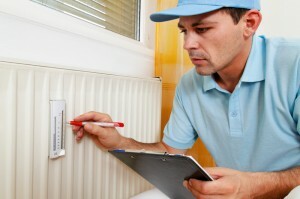 The time to take care of your heating system is long before you experience any signs of trouble. Not only it is less expensive to fix the heater during the off-season, you will not put your family at risk of living in a home without heat while the technician determines and tries to make the repair in a timely manner. Now is the time to make an appointment for a preventative maintenance check. Here are just a few of the reasons your home, your heating system, and your family will benefit in the end. The easiest way to tell if your heater needs maintenance is to determine how old it is and how long it has been since it was last checked by a professional. If the answer to the question is over a year, it is time for a maintenance check. In only that short amount of time belts get worn or lose, and moving parts need lubrication to continue to run efficiently. The sooner the system is checked the sooner any signs of trouble can be repaired. The reason heater maintenance is so important is small repairs can be spotted quickly by the trained eye. These minor repairs can often be fixed with small adjustments or parts replacement. If these little signs of trouble are ignored in the early stages, they eventually turn into full-blown repairs and possibly heating emergencies. This is where the cost of the repair escalates quickly, especially if it happens in the middle of the night during a severe winter storm. Keeping your family warm and getting a heating professional to the house is now a serious challenge. 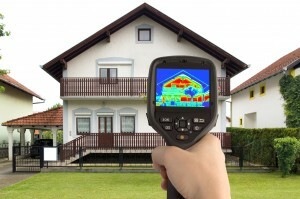 Some of the signs your heater needs maintenance are longer running times to heat the home. Noises coming from the heater that are louder than normal could be signs of trouble with parts in the system. An increase in dust and dirt coming from the air vents is an indication that the filters are full and the system has been working much harder to push air through the system. If the heat is not as hot as you remember, it is time to make the call to your local heating repair company. Having maintenance done on the heating system even once a year will save you a significant amount of money and keep your family warm when frigid weather arrives. If the heater in your Annapolis area home is not working so hot, it’s high time you call Heidler Plumbing at (410) 268-7191. We’ve got you covered from installation to repairs and everything in between!